LEXINGTON, Ky. (Dec. 3, 2018) — Finals week is right around the corner, but the most wonderful time of the year shouldn't be the most stressful. Transformative Learning, your one-stop shop for on-campus academic resources including The Study and Presentation U, is here to help. Organic chemistry final got ya stressed? 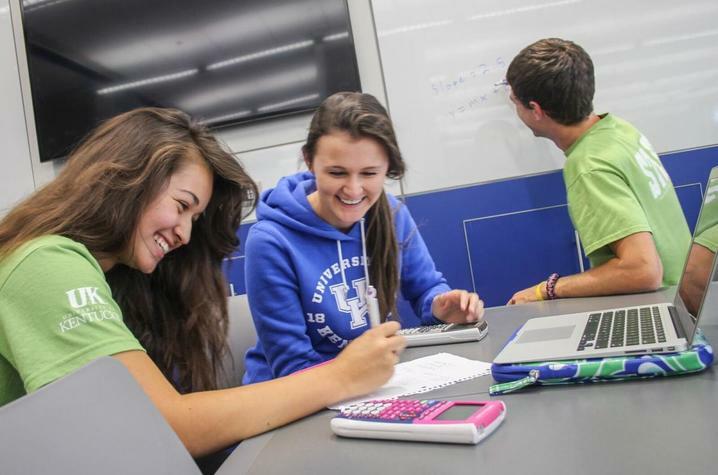 The Study offers free drop-in peer tutoring in over 30 UK core courses in math, science and business. Worried about how that group project or research paper could affect your final grade? Presentation U is here to help refine your speaking and writing skills, regardless of what course you’re taking. Here are the top five reasons why you should let The Study and Presentation U help you #SecureTheSemester. Think you won't find an engineering major tutoring at Presentation U? How about a political science major tutoring at The Study? Think again. Tutors at The Study and Presentation U represent a diverse range of majors including neuroscience, engineering, nursing, communication sciences and disorders. All tutors are College Reading and Learning Association (CRLA) certified, trained, and ready to help you achieve your academic goals. The average tutor GPA at The Study is 3.6, and Presentation U tutors average a 3.9, so there's no doubt that you're in good hands. Tutors at The Study and Presentation U are undergraduate students just like you. They've taken the classes, met the professors and read the syllabi. Not only are they equipped to handle questions about the subject at hand, they can help you gain a better understanding of online homework systems, course formats and more. You don't have to be at rock bottom before you seek help from a peer tutor. Last year, The Study hit nearly 30,000 tutoring sessions across more than 30 subjects. Presentation U measured over 2,000 sessions. That's a lot of academic enhancement. The Study North (TSN) | Monday-Thursday 2-10 p.m., Sunday 4-10 p.m. The Study South (TSS) | Monday, Wednesday, Sunday 4-10 p.m. 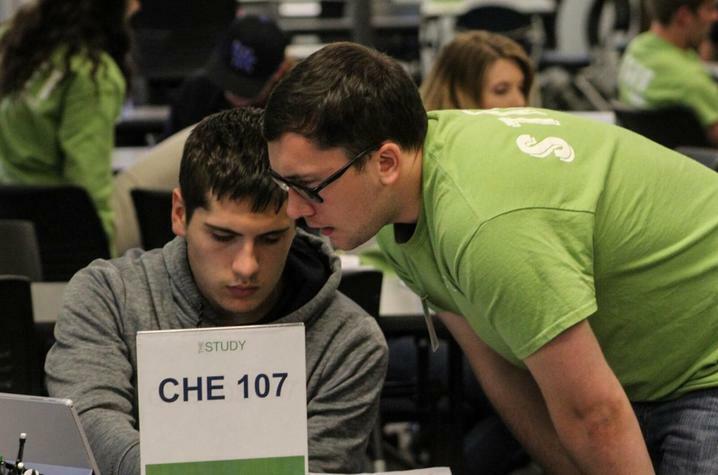 The Study Central (TSC) | Monday-Thursday 2-10 p.m. Presentation U in The Hub @ Willy T. | Monday-Thursday noon-8 p.m. Presentation U in eStudio | Monday-Thursday 9 a.m.-noon, Friday 9 a.m.-3 p.m. Presentation U in The Study South | Sunday 4-8 p.m.
5. No money? No appointment? No problem. Tutoring is always FREE! Drop in to any of the Presentation U or The Study locations anytime during operating hours to get the assistance you need. No appointment necessary. For more information on The Study, Presentation U and other Transformative Learning services, visit www.uky.edu/tl.